Dualtone Music Group, an Entertainment One (eOne) Company, announces that it has entered into an agreement with Isalee Music Publishing to administer hit songs written by music legend Chuck Berry. As part of the deal, Dualtone has secured U.S. publishing admin rights for most of Berry’s timeless hits, including: “Maybellene,” Johnny B. Goode,” “Let It Rock,” “Memphis, Tennessee,” “Brown Eyed Handsome Man,” “Rock and Roll Music,” “Back in the U.S.A.,” “School Days,” “Sweet Little Sixteen,” “Reelin’ and Rockin’,” “Carol,” “Thirty Days (To Come Back Home),” and “Almost Grown,” among others. Additionally, Dualtone now represents worldwide rights on eight of the ten new recordings (two are covers) on Chuck, the posthumous, acclaimed album released by the label in June 2017. Dualtone now also represents dozens of other Chuck Berry penned songs worldwide including “My Ding-A-Ling,” “Tulane,” “Have Mercy Judge,” “Little Marie” and “Swanee River”. “We have a great relationship with Paul Roper and our friends at Dualtone, and we know that they will help us take good care of Charles’ songs,” states Themetta Berry, Chuck’s wife of 68 years. Universally recognized as the “father of rock n roll,” Berry catapulted to stardom with a string of hits in the late ‘50s, and has had a long and storied career until his death earlier this year. Berry was inducted as both a charter member into the Rock and Roll Hall of Fame and into the American Songwriters Hall of Fame in 1986, and the Nashville Songwriters Hall of Fame in 1982. 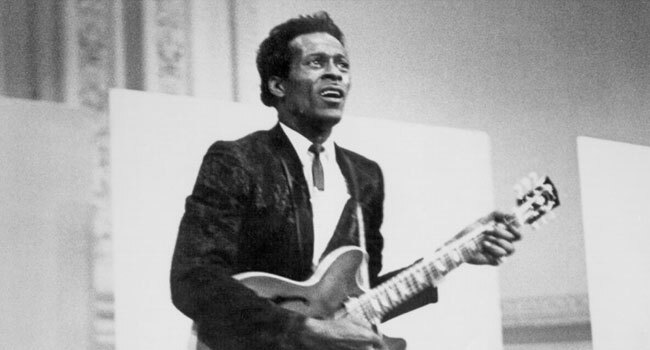 The posthumous release Chuck is Berry’s first album since 1979’s “Rock It,” and is comprised of ten new recordings, eight of which were written by Berry. Recorded and produced by Berry in various studios around St. Louis, Chuck features his longtime hometown backing group – including his children Charles Berry Jr. (guitar) and Ingrid Berry (vocals, harmonica), plus Jimmy Marsala (Berry’s bassist for forty years), Robert Lohr (piano), and Keith Robinson (drums) – which supported him for nearly two decades on over two hundred residency shows at the famed Blueberry Hill club. The album also includes guest performances from Gary Clark Jr., Tom Morello, Nathaniel Rateliff, and Chuck’s grandson Charles Berry III.